A traditional Cotswold coaching inn set in the centre of the bustling market town of Cirencester. 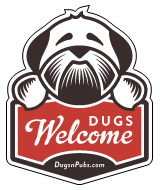 There are a total of 4 dog friendly listings in the Gloucester Pubs category. Please log in, or sign up as a member to view all listings.